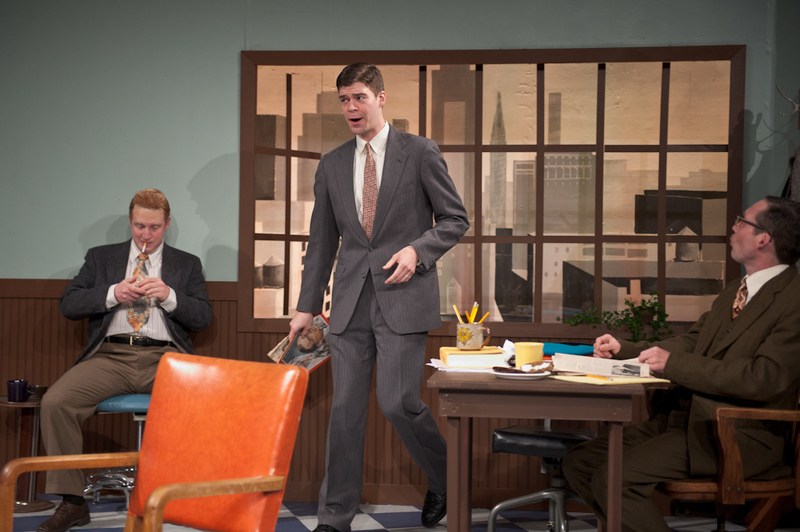 Keegan Theatre’s current production of Neil Simon’s Laughter on the 23rd Floor demonstrates both humor and finesse. … The cast is a strong one. The actors function collectively as a well-oiled comedic machine without trying too hard. Though the entire cast is very good, Ray Ficca shines as the unintentionally funny and layered Max Prince (the acclaimed star of the comedy show who happens to be a paranoid drug addict). Ficca’s portrayal is the kind of seamless work that is exciting to see–with a spot-on Brando impression, to boot. The rest of the cast works well together, finding moments of humor and just as easily finding moments of quiet. The set (Samina Vieth) is the writers’ room on the 23rd floor, complete with a bagel-and-schmear table. 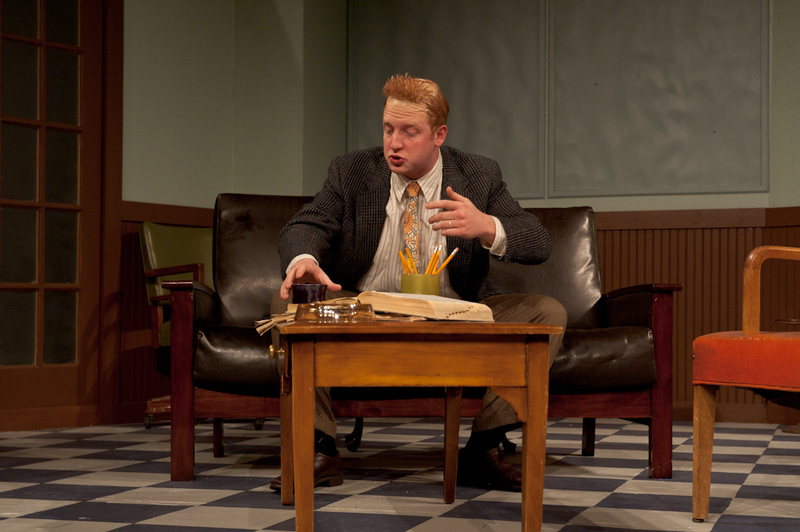 … Erin Nugent’s costumes are well-contemplated, authentic, and, in some cases, funny. Lighting designer Allan Sean Weeks successfully creates the right amount of nostalgia and romanticism that this creative realm holds. 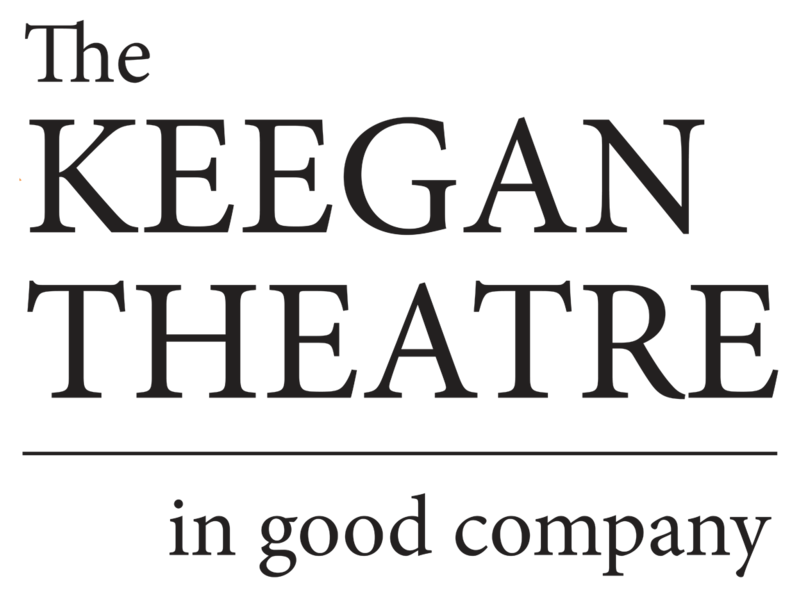 Keegan Theatre’s take on this Neil Simon piece is a gratifying theatre experience. It will undoubtedly make you laugh–and also think a little, too. The production has that certain “I don’t know what” about it that one always hopes to have at the theatre. ….